After having tough time storing coriander seeds and dealing with small bugs or insects, I have now developed a habit of making this fresh Coriander powder at home. I find this very handy and the aroma it emits is so good. 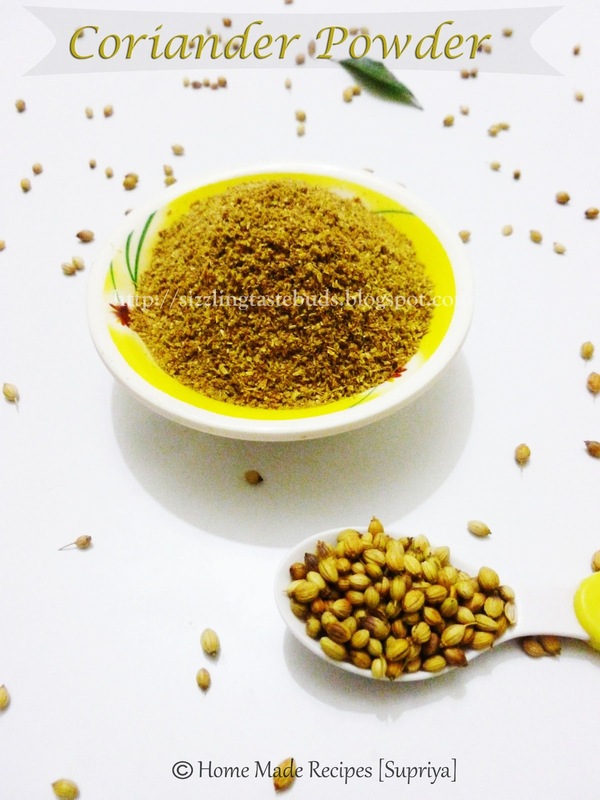 Coriander powder is vastly used in Indian cuisine, be it any non-vegetarian dish or even a simple sambar or rasam, this aromatic coriander powder is very much needed and it also acts as a thickening agent. Here's the easiest way to make Coriander powder at home using a mixer. 1. Clean the coriander seeds to get rid of stones and other impurities. 2. Dry roast these fresh coriander seeds in a wok or a pan in a low- medium heat for about 5-7 minutes till you get a nice aroma of coriander seeds. 3. Allow it to cool completely. Now grind these roasted coriander seeds in a dry mixie jar to make a fine powder. 3. Once done, again shift this to the wok and allow it cool down completely and then store it in an air-tight container. This way it will stay fresh and can be stored for about 6 months. Always use a dry spoon when needed and close the lid properly. You can also sun dry the coriander seeds. I opt for roasting coriander seeds in a pan or wok. You can also give this to the mill for grinding in case you need a very fine powder like the store bought one. Try this and home and you will surely find this better and aromatic than the store bought ones.